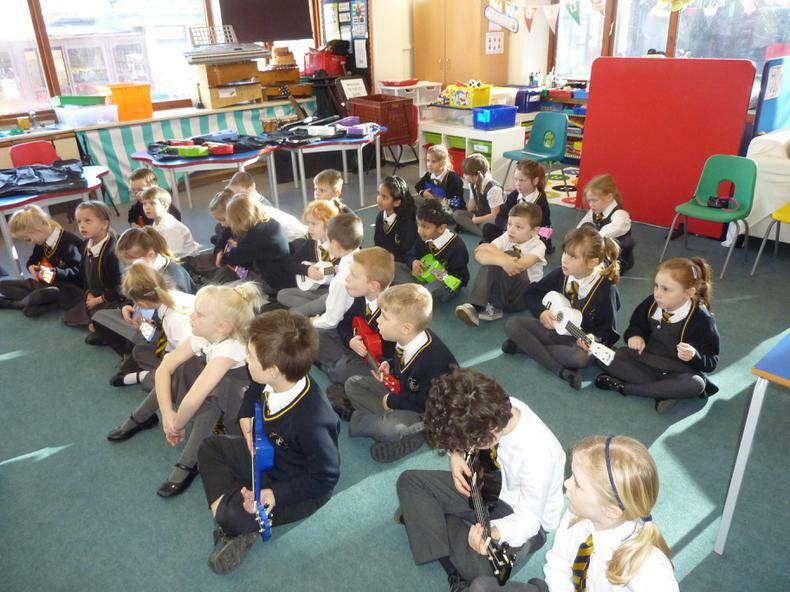 This term the class are having Music Lessons with Mrs Crane our Music Teacher. 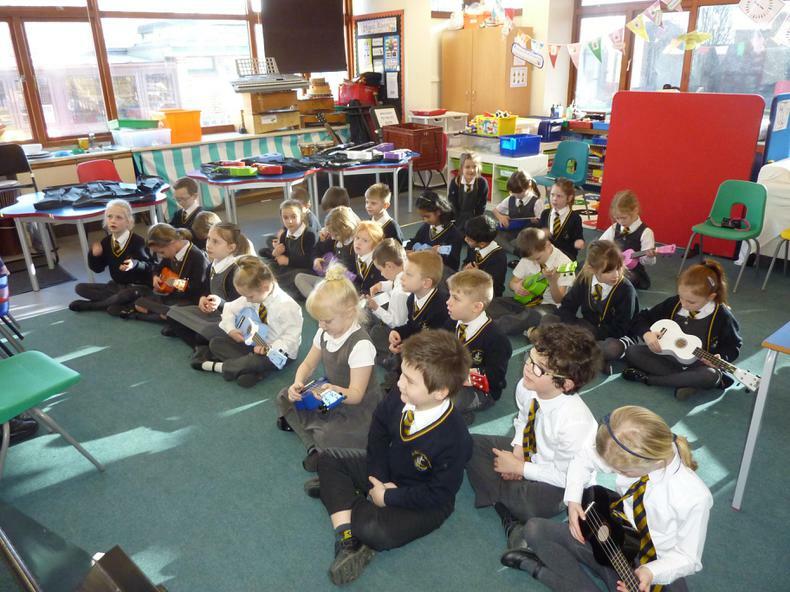 Continuing with our topic, Frozen Planet, the children have listened to 'Winter by Vivaldi' recognising instruments and imagery. 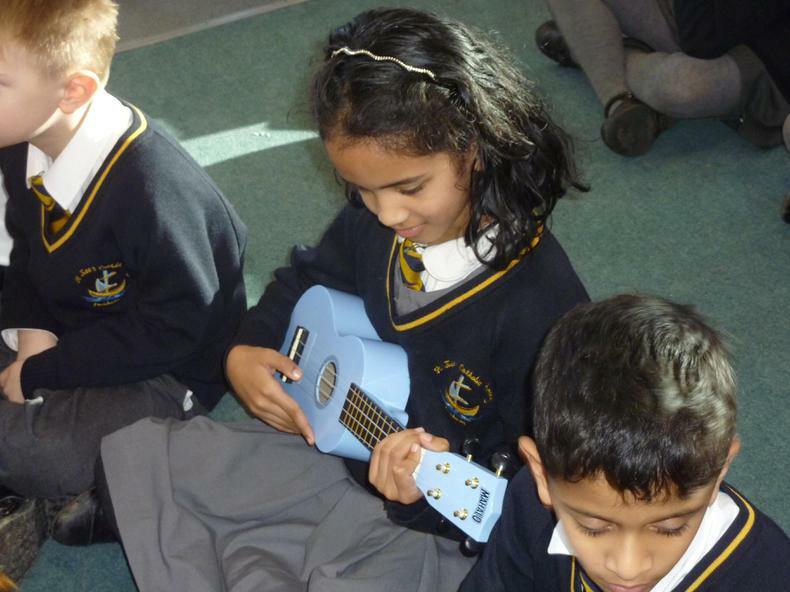 They have also began to learn basic skills on the Ukulele. 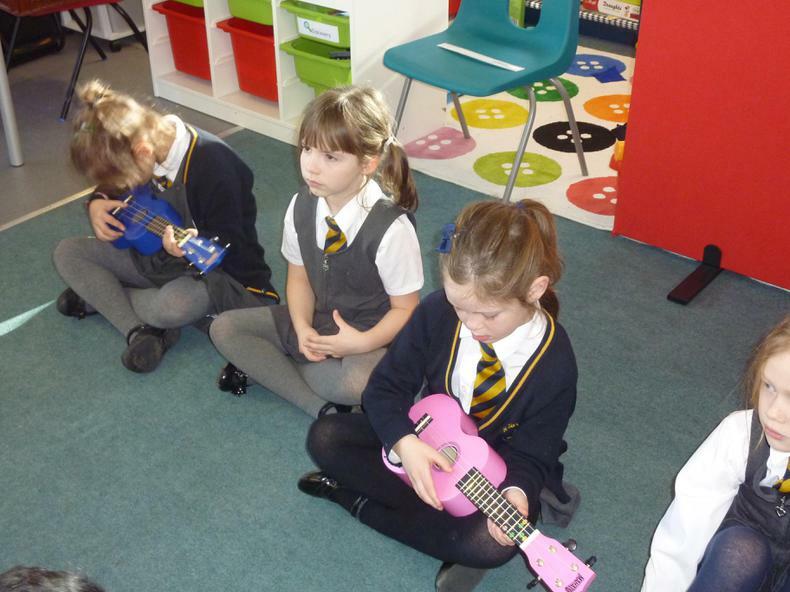 Here you can see them taking turns to play simple chords in time with pieces of music. 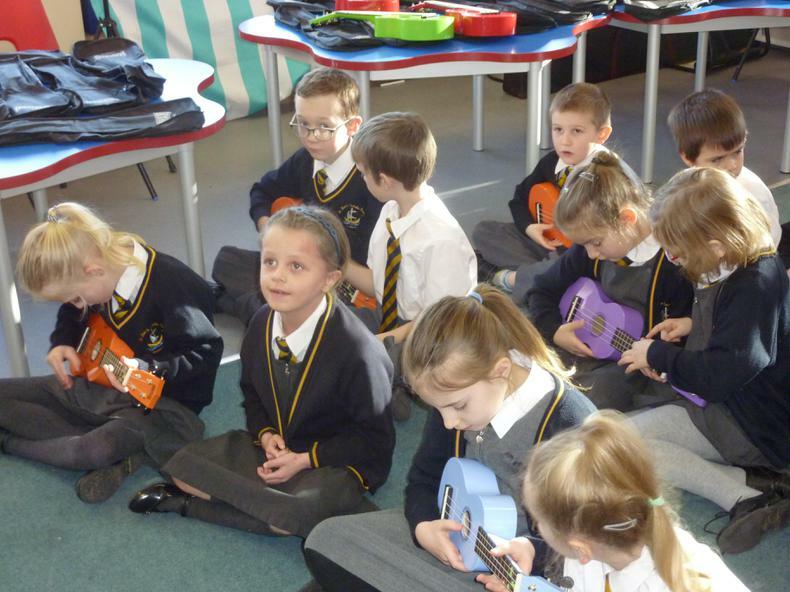 The children are really enjoying their lessons and work hard to play the right chords at the right time.